A birth injury is defined as any injury to a child or fetus immediately before, during or just after the birthing process. Serious birth injuries often come with effects that last a lifetime and can even be fatal. 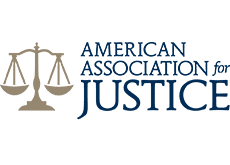 There are many causes and mechanisms of injury, but many serious injuries are the direct result of negligence on behalf of doctors, hospitals or other care providers. If your baby was injured during birth, or immediately after, no matter what the circumstance, speak with an experienced attorney as soon as possible. Birth injury cases are extremely complex and it may not be immediately obvious who or what was responsible for the injuries to your child; and, doctors and nurses will usually not tell you that they made a mistake. The two most common types of birth injury are hypoxic (lack of oxygen) brain injury and brachial plexus injury. Hypoxic brain injury is also known as Hypoxic Ischemic Encephalopathy (HIE). The stresses of labor can often result in a baby not getting enough oxygen during labor and delivery. This can happen: where labor is too long; where contractions are too strong; where contractions are too frequent; or, where there is inadequate resting time between contractions. The use of Pitocin or Oxytocin to induce or augment labor can cause this situation or make it worse. Through commonly used fetal heart monitoring devices, doctors, nurses and midwives can and should be able to recognize when baby is in distress and take immediate action. If doctors and nurses don’t take immediate action when the baby is in distress, the results can be devastating. If the baby’s brain does not get enough oxygen, permanent brain damage can result. Babies with HIE often are transferred for cooling therapy if it is available in the area. Still, babies with HIE often have severe deficits including cerebral palsy. Children with cerebral palsy may need a lifetime of full-time care. Brachial plexus injury is another common birth injury. It results where a baby’s shoulder essentially gets stuck in the birth canal and that condition is known as Shoulder Dystocia. If properly handled, the baby can usually be delivered by the doctor without injury. If the doctor or nurse midwife applies too much force during the delivery, it can cause the nerves to stretch and be permanently injured. A medical mistake can lead to a brachial plexus injury resulting in numbness, weakness, or partial or total loss of use of the arm. Brachial Plexus injury is also known as Erb’s Palsy. Birth injuries can be caused by what a doctor or nurses failed to do during birth or what they actually did. A failure to recognize the signs of fetal distress, or a delay in taking the appropriate actions, is one of the most common ways birth injuries occur. Also, failing to recognize the signs of complications that warrant delivering the baby via C-section often cause needless brain damage to babies before they are born. Doctors or nurses may also cause injuries due to an improper use of delivery tools during labor. Using forceps too aggressively, or improperly using extraction devices, can injure vulnerable babies during delivery. In addition, using an obstetrical device such as a vacuum too many times can cause a traumatic injury to the baby’s head. Some signs that your baby may have suffered an injury during birth may not be immediately obvious. Delayed development, cerebral palsy, shoulder dystocia, a lack of muscle coordination, muscle spasms, and diminished depth perception may take time to become apparent, but such injuries may be the result of birth trauma. These injuries are often severe and may cause your child difficulties throughout life. Florida law provides that an action for medical malpractice resulting in birth injury MUST be brought within 2 years from the time the incident occurred or should have been discovered with the exercise of due diligence. In no case may an action be brought more than the later of 4 years or the child’s eighth birthday even if the incident was not reasonably discovered before that time. 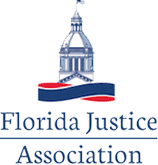 Florida’s NICA (The Florida Birth-Related Neurological Injury Compensation Association) was created by a law in Florida which may or may not prevent you from suing doctors, hospitals and nurses. In our experience the amounts paid by the NICA program are a small fraction of what you might recover from a successful lawsuit and also a fraction of the real cost of properly caring for a disabled child. Even if you signed a NICA waiver it may be possible for you to bring a lawsuit. We have experience in avoiding NICA if the doctor or hospital did not give the appropriate notice under Florida law. Our experienced lawyers at Freedland Harwin Valori, PL can advise you competently on that issue and help you protect your child’s rights. The attorneys of Freedland Harwin Valori, PL have the knowledge to help you determine whether you have a case and navigate the NICA process. In almost every case, the best advice is to seek professional consultation on a birth injury claim as soon as you suspect a birth injury. 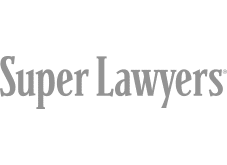 Birth injury cases are often complex and benefit from specific expertise when seeking the compensation for medical expenses that may well last a lifetime. Freedland Harwin Valori, PL has successfully helped clients ensure their children’s future. While money alone can never replace what a child may lose at birth, providing for his or her future medical expenses is vital to ensuring the best care possible. Call us today for a free consultation.